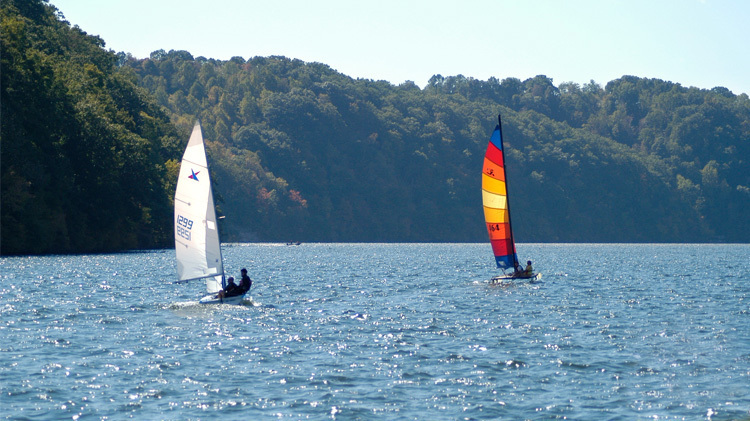 Putnam Lake is a great resource for sailing, fishing, canoeing or kayaking. Boats may be launched at any one of the two boat launches or carried across parklands to the water’s edge. If using your boat on other lakes, please be sure to follow safe cleaning practices to prevent the transfer of invasive plants and organisms to and from Putnam Lake. Registration for storing your boat on the parkland can be obtained here. RE: Licensing, Daily catch, fishing seasons, lure and bait types.